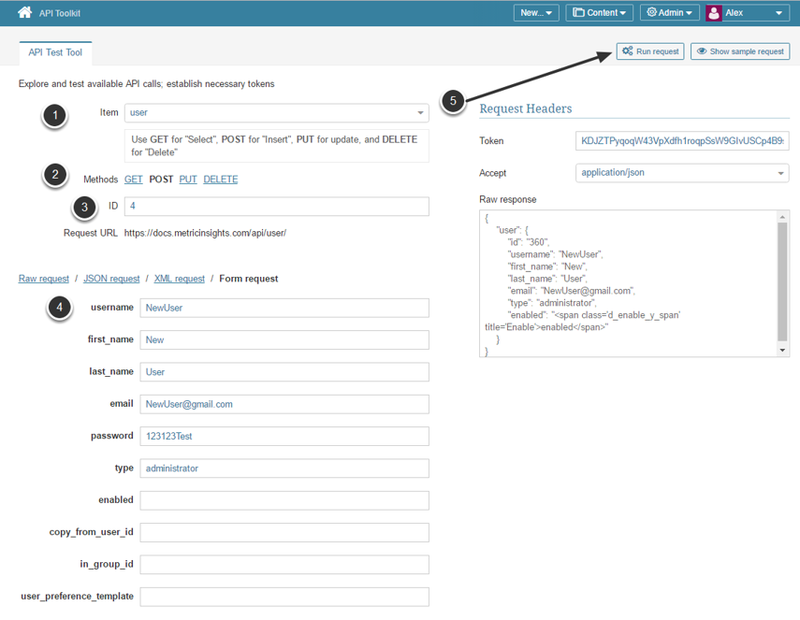 This article provides sample API calls to add Users and Groups and access to Dimensions. Set up API access. NOTE: For the User API you must also enable User Management access. You can fetch the list of all users created in the system. This call creates a new user. After this user is created, Login credentials are going to be sent to a specified email address. copy_from_user_id: Specify ID of a user you want to copy all permissions from. This call creates a new User Group. You can get a list of all Groups a certain User is a member of. NOTE: In this example User belongs to several groups. This procedure allows adding a user to a specified group (one user at a time). ID: Enter the ID of the previously created "user+group" combination. To see the list of all such pairs, choose GET method, leave other fields and Run Request. 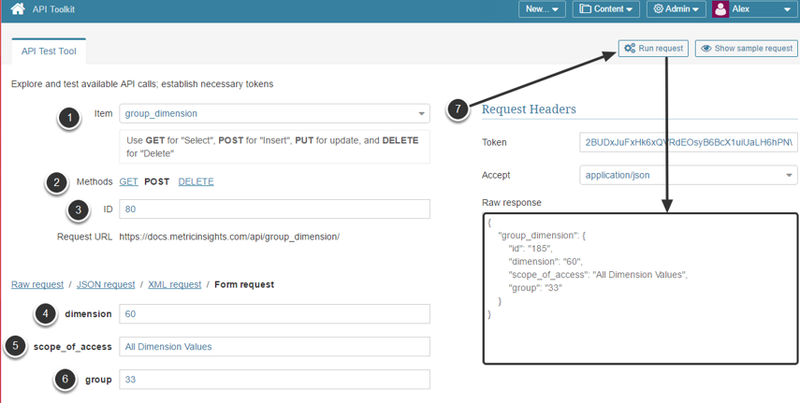 All "user+group" combinations are going to be displayed in the Raw response field. Choose the one that is supposed to serve as a foundation for the new combination. ID: Enter the ID of the previously created "group+dimension" combination. To see the list of all such pairs, choose GET method, leave other fields empty and Run Request. All "group+dimensioned" combinations are going to be displayed in the Raw response field. Choose the one that is supposed to serve as a foundation for the new combination. If you want to give all users of a specific group access to all Dimension values, it is better to choose a combination with "All Dimension Access".